Hi Y'all! It's April from Grade School Giggles and I wanted to share a tip for solving one of my biggest pet peeves. Please tell me I am not the only teacher to have a pet peeve or two. There are just certain things, that aren’t really big things in the scheme of things, but that still aggravate you like the sound of nails on a chalkboard. One of my personal pet peeves is mixed up paper directionality. When I am stacking piles of notebook paper it drives me a little bonkers to get a paper turned in with the writing on the back instead of the front or worse yet, written with the paper upside down. Most kids master this at some point in elementary school, but when kids first start writing on notebook paper many of them will make this mistake. Truthfully, it’s just another thing that they need to be taught. So, I don’t make a big deal out of it when it happens even if it does make me cringe. Instead I try to be proactive by modeling it…A LOT. When that doesn’t work, and for some kids it won’t be enough, I use some stickers and a sharpie. 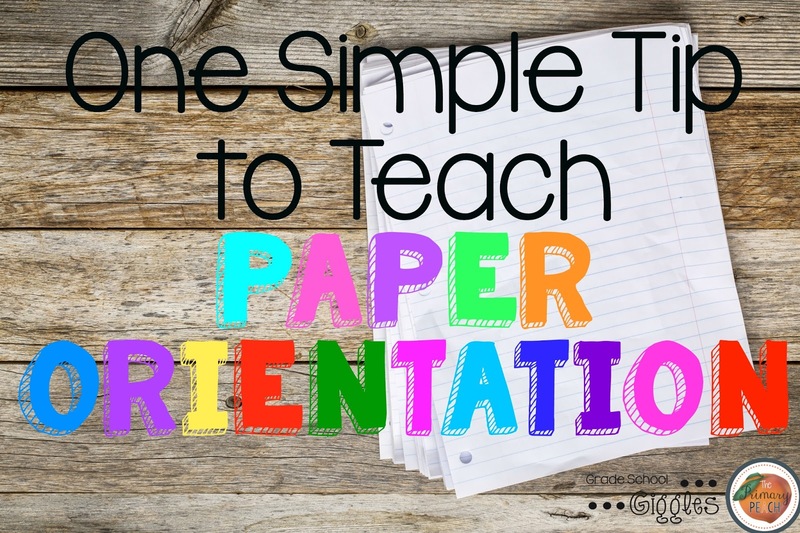 Take a sheet of notebook paper and sit down at the kid’s desk. 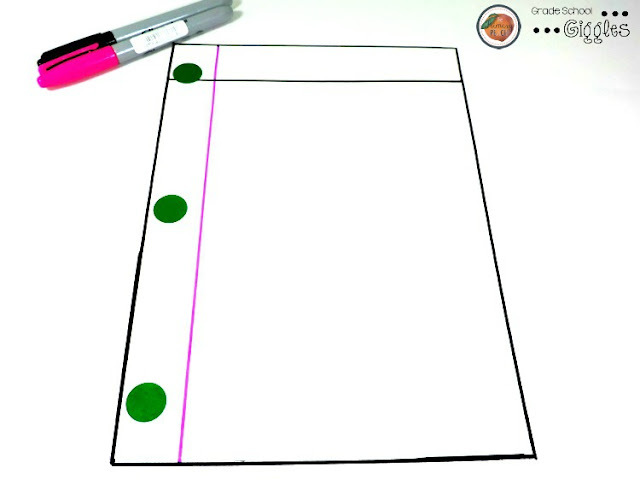 Trace around the paper with a sharpie and put a dot where each hole in the paper is. Add some garage sale dot stickers on top of the dots. 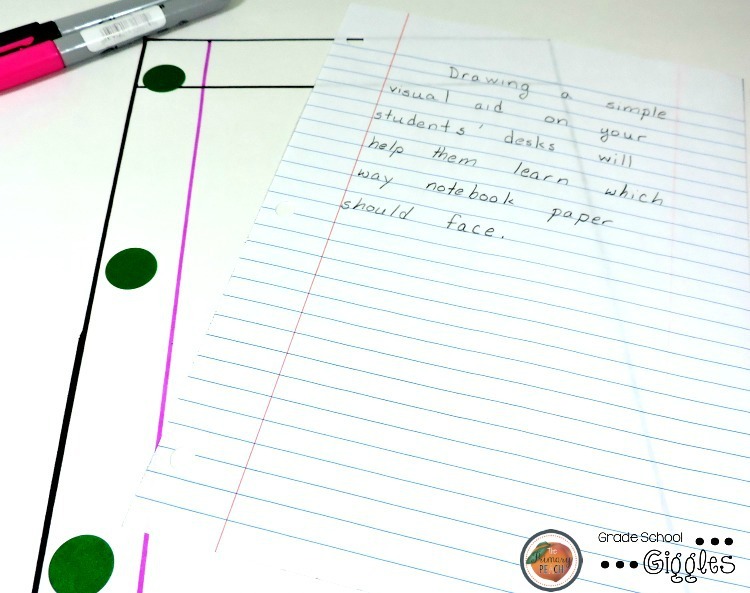 You’ve created a visual aid that will solve the problem for the vast majority of students. If you have a kid who is flipping the paper upside down, you can add in lines to represent where the pink line should be. Have the kids line their paper up in the rectangle before they write. 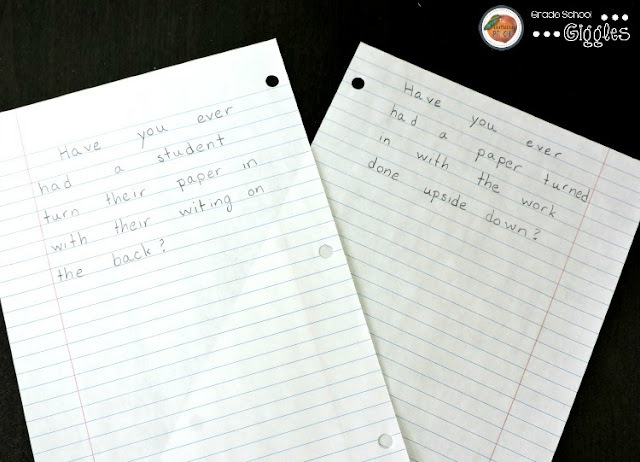 Once it’s lined up they can tilt it or move it to a more comfortable writing position. Don't forget to stop by throughout the month as the Peaches continue to share the magic! Facebook to catch all the latest news and updates! Gclub Slot Online casino site is a new alternative to play for a lot of people who are passionate and passionate about playing online casino games because of the fun and opportunities for players from all over. The world of online gambling can be played at the same time because nowadays, online gambling games can be played. Who would you just love to play games online betting, where you can play games online bets on all forms of online casino sites we have. Nowadays, online gambling games can also be played on mobile phones, and on the computer, the convenience is constantly being developed to make today's online gaming fun and exciting. more and more Players can also play online games. You can also join the fun and play games online 24 hours a day and any time you want.